What does living with bipolar disorder look like? 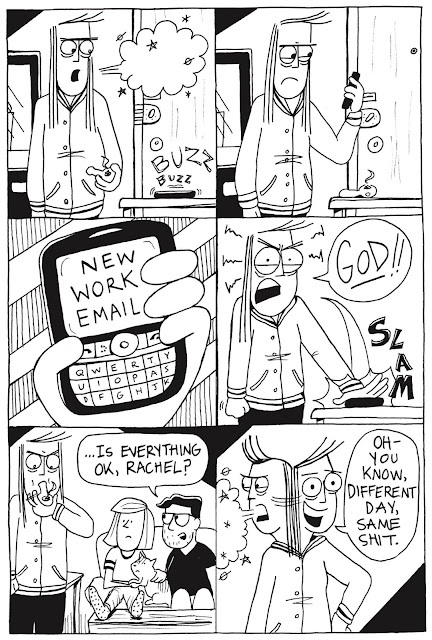 Formerly known as "manic-depression", this disorder is becoming part of the greater overall comics literature regarding mental health, which is in itself part of the Graphic Medicine movement. 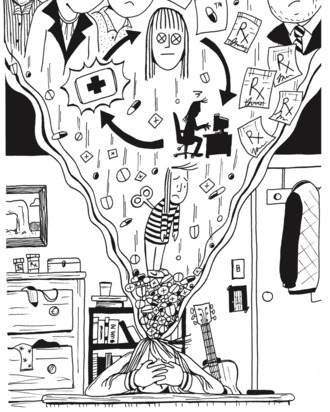 Graphic Medicine is the embodiment of the idea that there are no illnesses--only sick people. Every sick person has their own unique narrative with regard to how they experience serious illness and treatment. The function of these stories is to reduce a sense of isolation, and for the reader (and author) to feel seen and understood. Mental illness, in particular, can be especially isolating given its invisibility and the taboos that still exist in our culture with regard to talking about it openly. Bipolar can have periods of intense, paralyzing lows. There are occasions when simply getting out of bed is an act of supreme will. The periods of mania are often accompanied by feelings of being out of control, or worse: a feeling of total but misplaced confidence leading to impulsive behavior. 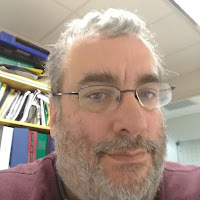 For a layman who doesn't have this illness, reading multiple accounts of its effects by people of different backgrounds and ages is crucially important. Bipolar is one of many issues that Keiler Roberts addresses in her comics for example, and she makes it clear that for her, it's the depressive episodes that are the most devastating. For Lawrence Lindell, who doesn't have access to therapy or medication, it's the mania that's the biggest problem. He copes through art, music, and connecting to his community. Ellen Forney, on the other hand, took the illness head-on and has made it the focus of her career. She first wrote a book about how she came to her diagnosis, her initial resistance to treatment, and her gradual improvement. Her second book was about coping strategies for people with bipolar. Rachel Lindsay's experience with bipolar is also quite different. 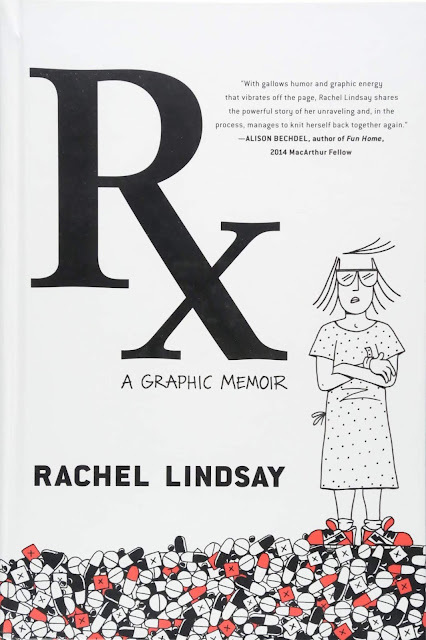 In her harrowing, frequently hilarious and thought-provoking memoir Rx, Lindsay tells a tale not just about having bipolar but also being forced to live one's life in such a way that it's all about maintaining one's sanity in exchange for happiness. Lindsay's storytelling holds nothing back, especially with regard to her own behavior. It opens with a sardonic sequence in a hospital where she's trying to convince a psychiatrist not to commit her, the calmness of her narrative belied by the images accompanying each panel. It's an opening salvo indicative of the helplessness and sense of betrayal she felt by being institutionalized against her will. Lindsay then backs up and informs the reader that she got her diagnosis at the age of nineteen, which led her to abandon her plans of being an itinerant artist in order to become an advertising executive. As a patient, she did everything "right": she took her meds, she saw her therapist, and she got a job with the kind of insurance that would allow her to buy medicine and pay a therapist. There's a series of visuals and sound effects accompanying the ritual of medicine that she repeated throughout the book: chug, crush (the small cup of water), toss (the cup into the trash). Her thick, clean line throughout the book has a frenetic energy that's sort of a cross between Roberta Gregory and MAD's Don Martin. It's highly emotionally expressive, especially when conveying negative emotions, but it's also rubbery and absurd. Her gags are barbed, revealing dark truths about herself and the world around her even as she encourages the reader to laugh at them. Lindsay's job was in advertising, helping to develop various commercials and campaigns. One day, she was rewarded with a promotion that took her to the pharmaceutical wing. She was assigned an antidepressant campaign with a drug designed to treat her very symptoms. Lindsay was great at her job in part because she was intimately familiar with the effects of the drugs of the client's competitors. However, the further she got into the process of crafting these campaigns, observing focus groups of depressed people and realizing how much of the advertising hit her hard, the more triggering it became. Mental health was no longer a positive goal for her, but rather a prison. She railed against the "puppet masters" of advertising to her friends. She began, with a word choice I found interesting, her "ascent" into madness. It's a word that makes sense for someone going through a severe manic phase: the sensation of spiraling upward. She isolated herself from friends, family, and relationships. She started spending recklessly. She developed insomnia. 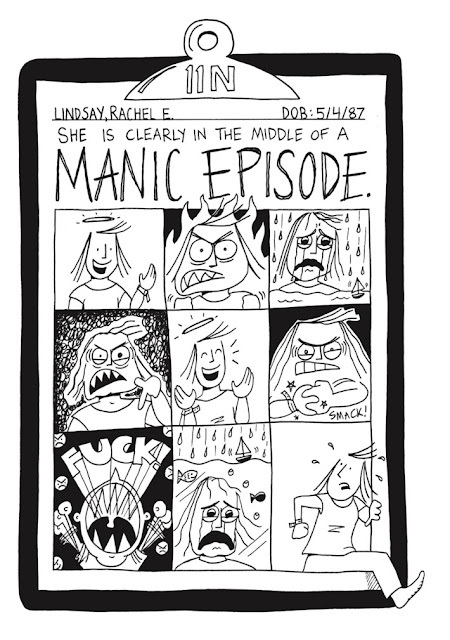 These are all classic manic symptoms, but she didn't perceive it as such because she felt entirely justified to feel this way given her job and her overall unhappiness with her life--and in many ways, she wasn't wrong. It all came crashing down one day when she quit her job out of the blue, declaring that she was going to go to Arizona to pursue her dream of being an artist. Human resources called her parents, who tracked her down and called the police to take her to the hospital. There's an image in Rx of Lindsay running away from the restaurant where her parents confronted her and her father tackling her that's haunting. Lindsay lingers on that image and returns to it a couple of times without specific comment, but it is clearly symbolic of the ultimate loss of bodily authority and self-determination. The scenes in the hospital depict the sheer boredom, loneliness, despair, and anger engendered by stays in such facilities. Psychiatric hospitals are not designed to help people get better; their only real function is to ensure that the patient has demonstrated that they are not an immediate threat to themselves or others. Getting out is a matter of playing the game and doing what you're told, and Lindsay ostentatiously and often hilariously had no interest in playing that game. From frequent outbursts and swearing at doctors & nurses, she bitterly protested her presence there even as she knew she was hurting her own cause. The way that Lindsay writes it makes sense because not wanting to play the game was entirely consistent with how she got there in the first place. Toward the end, she talks about how she did everything "right" (therapy, meds, job) and still wound up in the hospital. She resents what she saw as a waste of her time, as she struggled to balance her mania with genuine insights into her condition, especially as they relate to her old job. Lindsay does note the one positive thing about hospital life: she got her guitar and art supplies, which meant she finally had the time to play and draw all she wanted. She had no other responsibilities getting in the way, nor any work taking up her brain-space. When she finally broke down and contacted her parents, she did it because she had no other choice, not because there was a fake, emotional narrative where she had an epiphany. Even years later, when Lindsay was in a better place in every sense of the phrase, she reveals in the book that revenge was a significant motivational factor for wanting to write it. The irony that being hospitalized indirectly led to doing exactly what she wanted to do all along is not lost on her. Though Lindsay concludes the book with a number of positive updates about her life, one can't escape the scorched-earth qualities of this book. What does living with bipolar disorder look like for Rachel Lindsay? It's about anger, first and foremost. Lindsay is angry at her therapist (there is an especially unflattering drawing of him), her parents, her old job, the staff and doctors at the hospital, and the disorder itself. She is angry at being locked into a job that made her worse even as it was paying for her therapy. She is angry at having her freedom and autonomy taken away. She is angry at having her illness and hospitalization exposed to others without her consent or knowledge. She is angry at not having the opportunity to try to live her own life, on her own terms--no matter how hard that could be. This book is about expressing that anger so she can finally feel something else and find ways to engage in meaningful self-care (including medication) without sacrificing the integrity and autonomy that she desperately craves. Lindsay is unflinching in revealing her own mistakes, expressing her anger openly while acknowledging her mania, and finding ways to laugh at it all. Lindsay does this with a barrage of visual and verbal gags that reveal a bold comedic sensibility combined with a raw, steadfast commitment to emotional honesty.